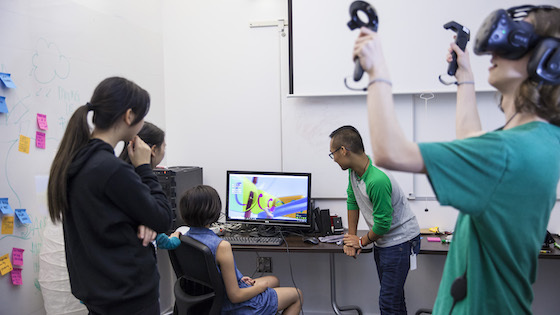 Tomorrow’s Master of Digital Media Program (TMDM) is a 2-week intensive summer camp designed for students entering grades 9-12 with artistic or technical interests who want to explore educational and career opportunities in the video game and digital media industry. 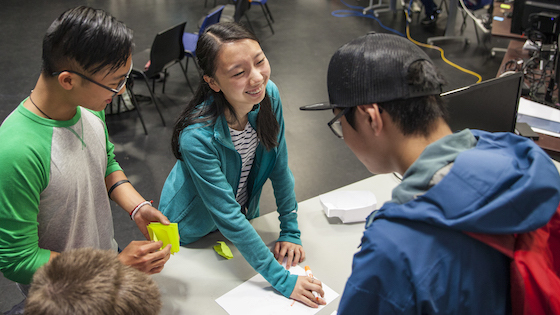 Students will learn rapid prototyping and collaborative techniques and will work in teams to build a playable digital media product at the end of this fun 2-week course. TMDM is running July 8 - 19, 2019. TMDM gives teens an opportunity to explore digital media in ways that are not offered in the traditional education system. Teens can discover career paths and interests that will help them make informed academic and career decisions. These skills are taught by drawing out individual strengths in a strong team-based environment. Who is a TMDM student? TMDM is for students entering grades 9-12 with artistic and/or technical talent. We are seeking an equal mix of girls and boys. The cost for the entire program is $1100 per student. Partial bursaries may become available for students who require financial support. Unlike other summer camps, TMDM is a competitive entry program. Applicants must write a letter of intent and include a signature from their teachers. Students are accepted on a first-come, first-served basis. TMDM is a cost-recovery initiative. We rely on sponsors to cover the costs associated with running the program. If your organization is interested in becoming a sponsor get in touch with our director of Industry Relations, Dennis Chenard. We're now accepting applications for TMDM 2019! Attend an Information Session on Thursday, April 25th from 6pm - 8pm. Add your name to our list to receive updates about Tomorrow's Master of Digital Media Program. These two summers set me up. I was accepted into a 2D animation class at Arts Umbrella in collaboration with Electronic Arts and spent a whole two months every week working on 2D animation with an animation professional. At the final presentation night they awarded parting gifts and I chose to take the tour of the EA facility, guided by the very woman who I met in the 2016 and 2017 TMDM programs, Wendell Harlow. When we went on the tour we ended it in her very office. I noticed a picture on her wall containing many young people she has met during her career and saw myself in a group photo from TMDM. This week after applying to a 2D Animation Fundamentals course at my dream school, Capilano University, I received a letter saying I had been accepted. All of these courses I had taken have led me to literally follow my dreams and it all started at TMDM. The connections and experiences you can get from this program are able to set up your entire career and future in this industry. 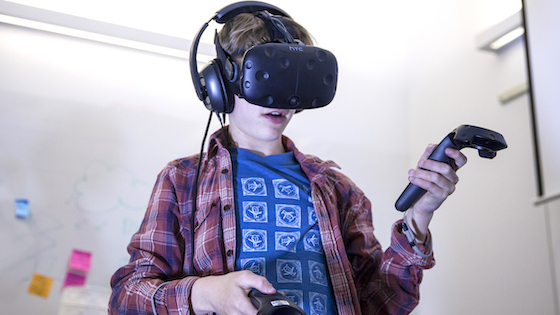 The instructors were great and very helpful and you get to learn the full pipeline of game production, plus the fundamentals of game design and story flow—if you’re considering a career in the game industry. This was a great environment to learn! I had an amazing time meeting new people and working with them. Everyday I’d wake up and I’d feel excited to actually go to this camp. I’d always walk home with a smile on my face because of all the things we’d done and learned. The final presentation was my favourite memory as it was amazing to see how all the friends and family loved the work we spent 2 weeks on. Really, don’t miss the chance to be part of this. We would like to thank you and the team for your expertise, humour and energy in making the camp such a great experience. Our son loved the opportunity to meet other teens with the same focus. 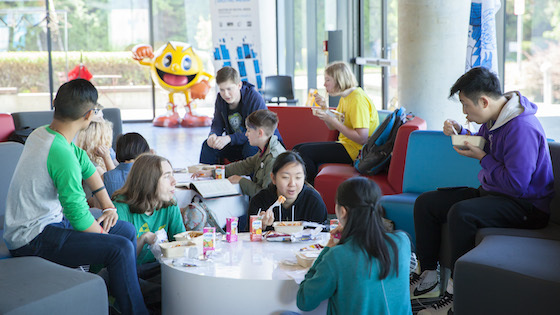 He really enjoyed the field trips to Radical and EA and the chance to use some of the programming skills he has acquired over the last couple of years. My husband and I attended the final presentation and graduation ceremony and we were very impressed with the level of expertise and professionalism of everyone involved in the program. My daughter hugely enjoyed – and benefitted from – the first Boot Camp for Tomorrow’s Masters of Digital Media. She and her peers were interested and highly motivated, the program was goal – as well as process-oriented, and the instruction was not just instruction, but inspiration! The best part for her was problem-solving and building a product with a group of people who were just as hard-working and committed as she is. [Our daughter] was very excited about the program. She came home each day having learned something new. It gave her more confidence and made her more willing to speak her mind about what she can contribute to a project. She seems more excited to be in this type of business.